There is truly no more joyous day on the academic calendar than commencement. It represents the culmination of exceptional diligence, determination, and achievement by our graduates. 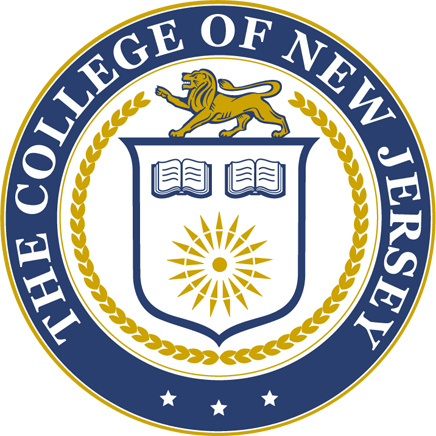 On behalf of The College of New Jersey, I invite you to join us as we honor all graduates, formally acclaim their educational accomplishment, and celebrate momentous opportunities to come. The main ceremony is a one hour, outdoor event featuring a full academic processional, remarks by President Foster, the commencement faculty speaker chosen by the senior class, and the conferral of degrees. Gates open at 2 p.m.
Commencement at TCNJ is a two-day celebration including the campuswide main ceremony on May 23 and departmental/school ceremonies occurring on May 23 and 24. See times and locations below. For more information about your departmental/school ceremony, please contact your school’s dean’s office or department office. The telephone numbers for schools and departments can be found on the Important Phone Numbers section of this website. Complimentary food will be available to guests and grads during on-going receptions each day. The Commencement Reception is on Quimby’s Prairie. The President's Reception, following the Main Ceremony, is on Quimby’s Prairie and Green Lawn. Frequently asked questions about commencement are answered below. For general event questions, please contact Conference and Event Services at 609.771.2361. What’s the difference between the main ceremony and the departmental/school ceremonies? All graduates—undergraduate and graduate—are welcome to participate in the main ceremony in Lions Stadium beginning at 3 p.m. The main ceremony consists of the official conferral of degrees and lasts approximately one hour. The main ceremony will take place rain or shine. Departmental/school ceremonies provide an intimate gathering where individual academic departments celebrate each student’s personal success, including the announcement of individual names. The main ceremony is an outdoor ceremony and will take place rain or shine, so please dress appropriately. In the event of severe weather, i.e. lightning, the Severe Weather Scenario will be implemented. Will there be indoor viewing locations? Yes, guests may view a live simulcast of the main ceremony in various indoor locations on campus. Campus Police will direct guests to designated parking areas. Mobility-impaired guests may be dropped off at either the Trenton Hall Circle or the Green Lane entry to Lot #13 (Decker Garage). Golf carts are available to transport these guests to desired campus locations. Do guests need tickets to attend? 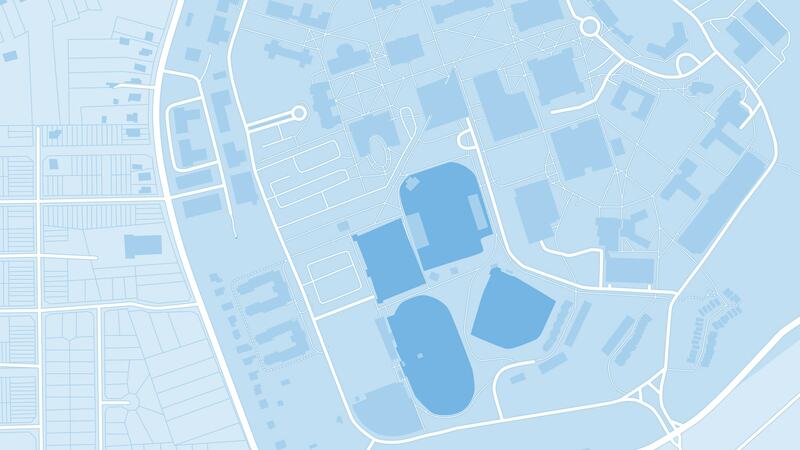 Tickets are not required for any commencement activities, unless you are reserving space in the accessible seating area at the main ceremony or if the college proceeds with the Severe Weather Scenario and the main ceremony is moved indoors. How many people can attend the main ceremony and/or departmental/school ceremonies? The number of guests is not limited for all ceremonies, though the college plans for five guests per graduate at departmental and school ceremony locations. In the event of severe weather, two tickets per graduate will be issued for the main ceremony. See the Severe Weather Scenario. Am I allowed to take photos/videos? Does the college offer photos for purchase? Yes, guests are permitted to take photos/videos during the main ceremony. The college asks that guests be respectful of others and not obstruct their view of the event. Please check with your graduate’s department regarding departmental/school ceremony procedures. Photos/videos are not available for purchase through the college. The main ceremony is an outdoor event. Guests are advised to dress for the weather and wear comfortable shoes. Is food available on campus? Yes, on Thursday and Friday, complimentary food and drinks will be offered throughout the day at TCNJ Commencement Reception on Quimby’s Prairie. Where do graduates sit at the main ceremony? Congratulations, you made it! Please see below for important info that graduates need to know about commencement. The main ceremony in Lions Stadium is an outdoor event featuring a full academic processional, remarks by President Foster, the commencement faculty speaker chosen by the senior class, and the conferral of degrees. Gates to Lions Stadium open at 2 p.m. on Thursday, May 23, 2019. Guests are encouraged to be seated by 2:45 p.m. The ceremony lasts about one hour with the academic procession beginning at 3 p.m. NOTE: Graduates’ names are not announced at the main ceremony. Names are announced at your graduate’s departmental or school ceremony. Guest seating is available in the stadium bleachers and on the field level. Tickets are not required and there is no limit to the number of guests permitted to attend this outdoor ceremony. The commencement main ceremony can be viewed live, via Webcast, beginning at 2:30 p.m. on the day of the event. A link to the Webcast will be posted on www.tcnj.edu. Guests can be a part of the action on social media by using #TCNJ19. Live simulcasts of the main ceremony will also be available in the following indoor locations on campus. Accommodations are available for guests that need accessible seating. More information can be found in the Accessibility section. The main ceremony will take place rain or shine. In the event of severe weather (lightning), guests will be advised to follow the severe weather scenario. In the event of potentially dangerous weather, i.e. lightning, Thursday’s main ceremony will be moved indoors to the Recreation Center and follow the schedule outlined in the severe weather scenario. Tickets are required for admission to the main ceremony if the severe weather scenario is in effect. Accessible seating and parking is available. Reserved, ground level seating (including sightline to the sign language interpreter) is available during the main ceremony. One guest from the same party may accompany the person requiring accessible seating. Reserved, ground-level seating (including sightline to the sign language interpreter) is available during the main ceremony. One guest from the same party may accompany the person requiring accessible seating. Please fill out this form for accessible seating reservations. For questions, please contact Conference and Event Services at 609.771.2361. Contact your graduate’s academic department for accessible seating at your departmental/school ceremony. Wheelchairs can be rented at the medical supply companies below. For further information regarding pick up and return, please call the vendors. Golf carts are available to transport mobility-impaired guests to desired campus locations. Only vehicles bearing state-issued handicapped license plates and/or window placards will be permitted to park in the designated special needs parking areas (Lots 4 & 14). Vehicles without handicapped plates will be permitted to drop off aged or disabled guests/passengers at Trenton Hall Circle (see map) or via Green Lane entry to Decker Parking, where your party can be escorted to the ceremony via golf cart. Please advise your guests that walking distances between the main ceremony and the departmental ceremonies may be considerable. Traffic will be heavy! Plan on extra travel and parking time. The main ceremony will have a sign language interpreter. Reserved seating with a sight line to the sign language interpreter can be arranged for the main ceremony in Lions’ Stadium. If you require a sign language interpreter at departmental ceremony, please make this request through the Office of Disability Support Services. There’s still time to pave the way to excellence by purchasing a brick in Alumni Grove! As a member of TCNJ’s family, you are invited to leave a lasting and unchanging legacy of your own by personalizing a brick in the Alumni Grove. Bricks are available in 4×8 inch and 8×8 inch sizes and are priced at $150 and $350, respectively. Each brick order includes a free mini brick replica which will be mailed to you after the brick is placed. Brick orders placed by February 20 will be installed in Alumni Grove prior to commencement. The accompanying mini brick replicas will be available for pickup both days of commencement from 9:30 a.m.–1 p.m. on Quimby’s Prairie. Visit tcnj.edu/brick to order your brick. Class of 2019 graduates, parents, and family receive 15% off! Academic regalia is required for degree candidates at commencement. 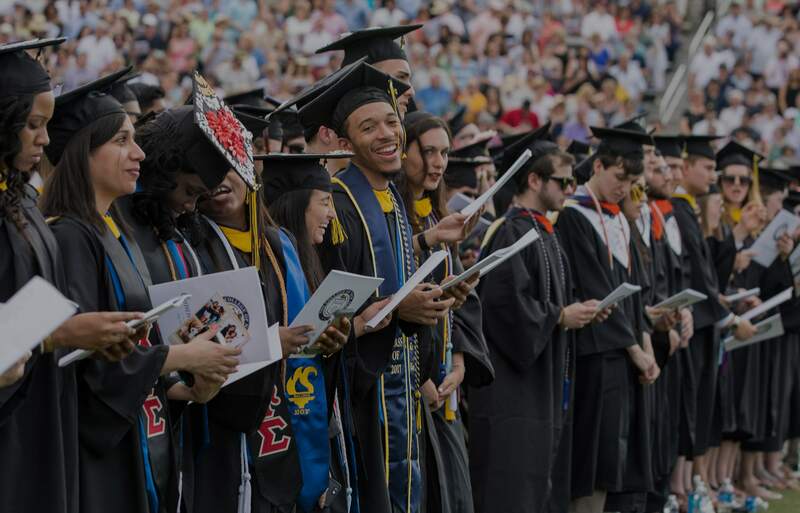 Caps, gowns, and severe weather scenario tickets must be picked up at the Graduation Fair at the TCNJ Bookstore in Campus Town, April 29-30, 2019. Graduates may keep their regalia. Tassels from the previous year’s graduation will be available to purchase at the bookstore. Special cords, ribbons, and pins are not provided with regalia. Students should contact their honor society or other organization regarding any special honors regalia. Diplomas are not distributed on commencement day. You will receive a diploma cover at your departmental/school ceremony. Diplomas will be mailed to the graduate’s permanent address on file with the Office of Records and Registration approximately six to eight weeks after commencement. If you have recently moved or will be moving, please be sure to notify the Office of Records and Registration of your correct address. Graduates are to report to C-Street by 2:30 p.m. to line up by school for the procession into Lions Stadium for the main ceremony. See times and locations below. For more information about your departmental/school ceremony, please contact your school’s dean’s office or department office. The telephone numbers for schools and departments can be found in the Important Phone Numbers section. Find all of your graduation needs in one place at TCNJ’s Bookstore! Pick up your cap and gown along with your severe weather scenario tickets during Graduation Fair, April 29 and 30, at the bookstore. Ample, free parking is available throughout campus both May 23 and 24. Campus Police will direct guests to designated parking areas. Mobility-impaired guests may be dropped off at either the Trenton Hall Circle or the Green Lane entry to Lot #13. Golf carts are available to transport guests to desired campus locations. Beginning at 9:45 a.m. on Thursday and Friday, the TCNJ Commencement Reception on Quimby’s Prairie will offer complimentary food, drinks, and entertainment throughout the day. Guests are also invited to join President Foster on Quimby’s Prairie and Green Lawn after Thursday’s main ceremony for the President’s Reception to celebrate our new graduates. All are welcome. Graduates will participate in one of two main ceremonies, depending on their school. Seating is limited to two guests per graduate, and guests will require a ticket for entry. Tickets for the Severe Weather Scenario must be picked up during the Graduation Fair at the TCNJ Bookstore on April 29 and 30. Tickets are not replaceable. Guests without a ticket will be directed to a live simulcast of the ceremony in various indoor locations on campus. Departmental/school ceremonies will not be impacted by the weather and will occur as scheduled. 1. An announcement will be posted to TCNJ’s homepage, and the main page of this website. 2. TCNJ’s Facebook and Twitter feeds will be updated. 3. Callers may dial TCNJ’s hotline at 609.637.6000. The greeting on this extension will inform callers if the severe weather scenario is in effect.